When most people see the Hema Maps 200 series rolling down the road they immediately know it’s special. 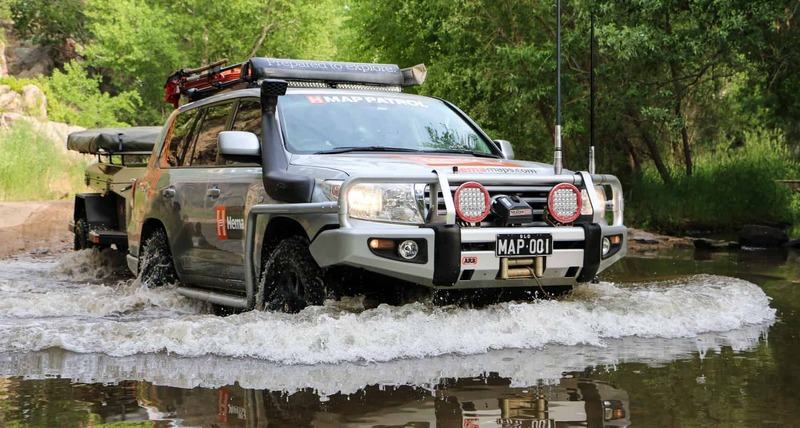 Unlike many modern Land Cruisers in the United States which spend their days fetching groceries or toting the kids to soccer practice, this one is a true expedition vehicle, built with the sole purpose of mapping the world’s best four-wheel drive tracks. 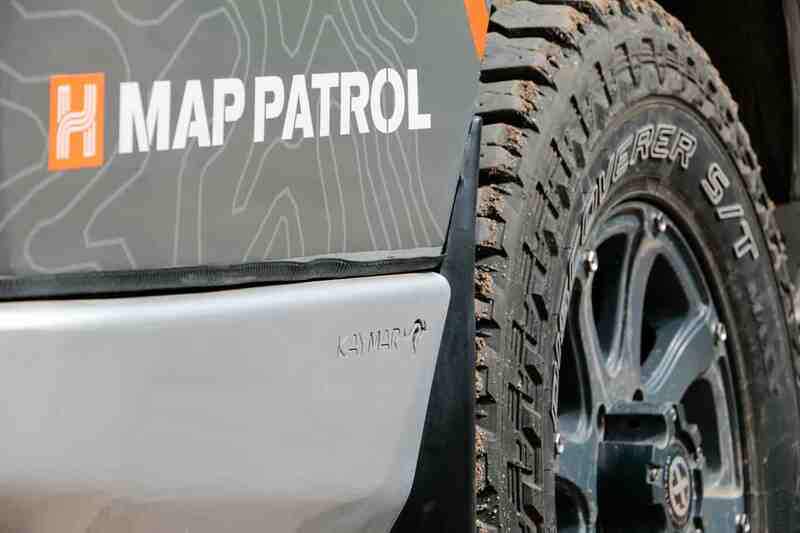 From the gleaming ARB bar to the rear Kaymar swingouts, each accessory was carefully selected to support the Map Patrol mission, and the result is one of our favorite overland vehicles to date. 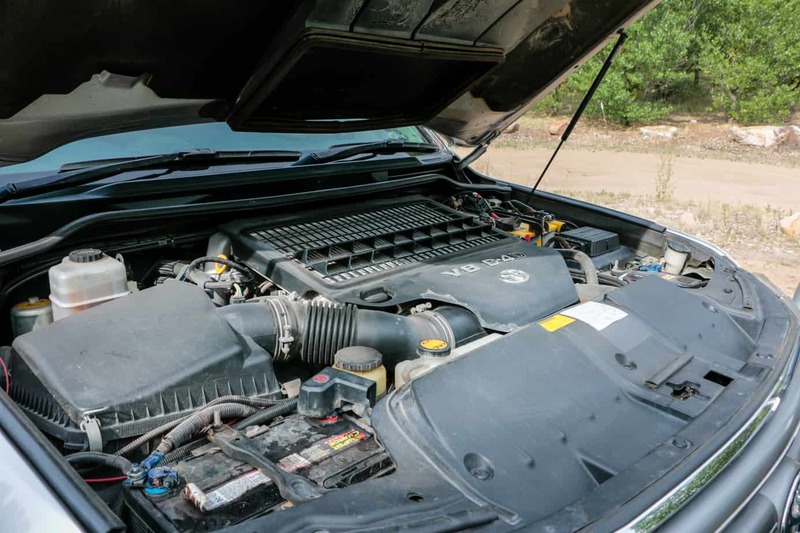 With this truck’s recent arrival in North America and its upcoming trip from the Arctic Circle to Cabo San Lucas, we set aside some time to dive into all the bits and pieces that make this Land Cruiser so special. For the overview video with Scott Brady, or to see this vehicle in action, be sure to read to the bottom of the article. The biggest difference between this particular truck and the U.S. models, besides the right hand drive, is the 1VDFTV D-4D tucked under the hood. 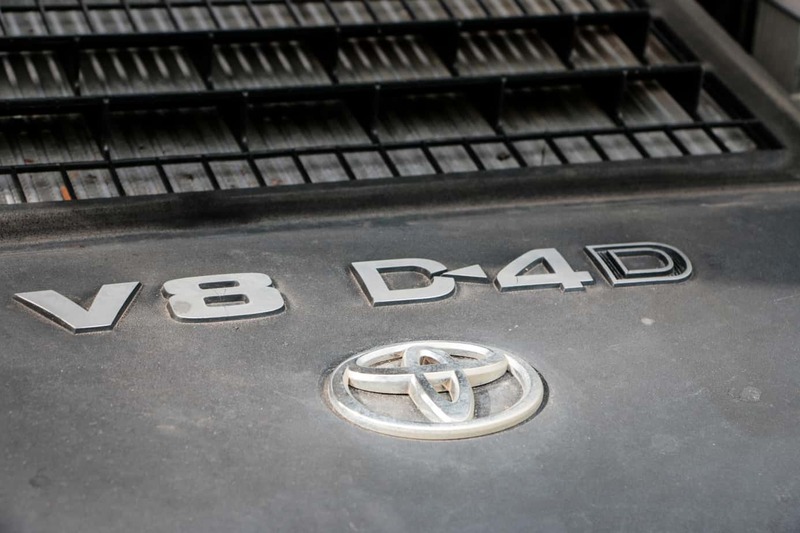 For those of you who don’t know, the D-4D is Toyota’s twin-turbo diesel V8, one that puts out 262 horsepower and 480 ft lbs of torque. 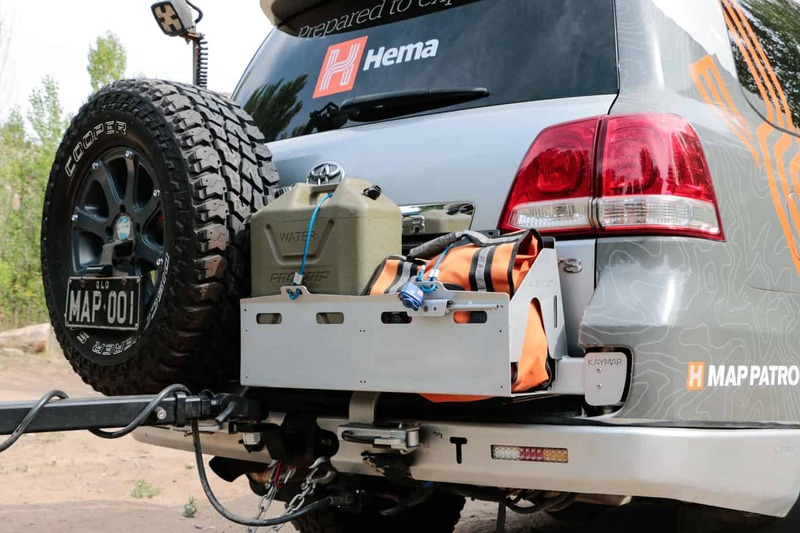 While that will certainly get the job done, Hema installed a Steinbauer tuning system to boost those figures up to 314 horsepower and 575 ft-lbs of torque giving it plenty of power for towing off-road trailers through rough terrain or cruising the long expanses of the outback. Under the hood you will also find not one, not two, but three batteries. 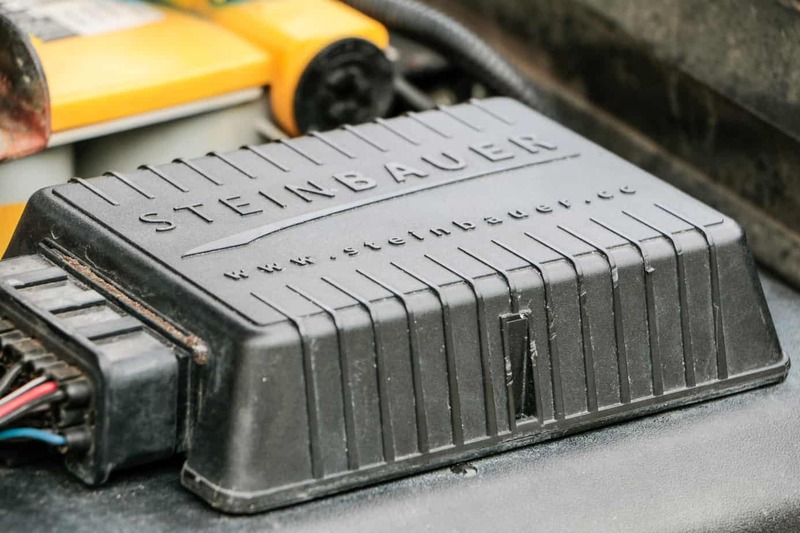 Two are from the factory and used for general purposes and starting, while a yellow top optima is installed for auxiliary power in emergency situations. 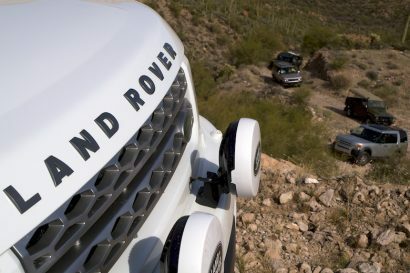 When operating solo or in remote locations vehicle protection is vital. 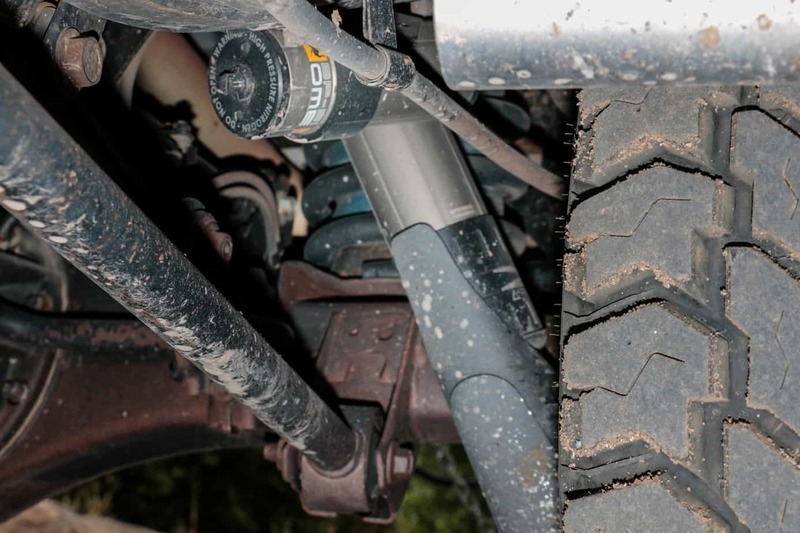 People often dismiss armor like bumpers, sliders, and skid plates as mere rock crawling gear, but in truth they can be the difference between spending days stranded in the wilderness or making it back to safety. 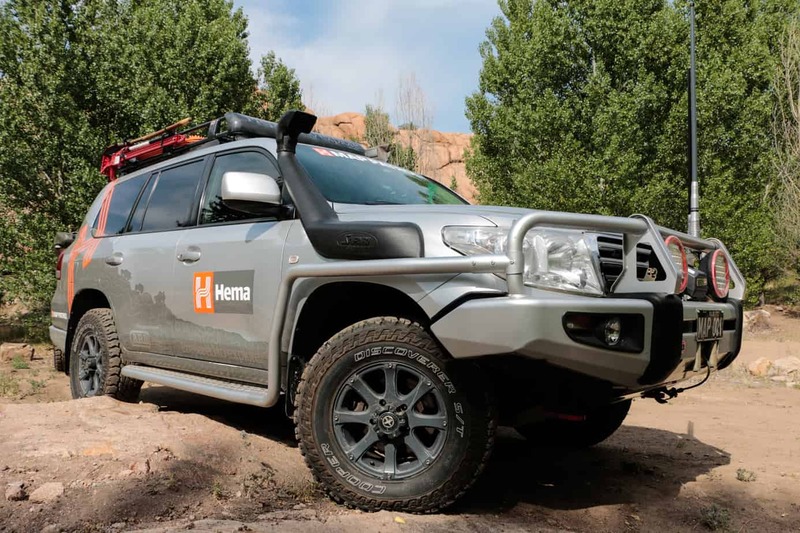 Given the nature of the trips this 200 series undertakes, the team at Hema wasn’t leaving anything to chance. They decided to start with one of the best bumpers around, a color-matched ARB Deluxe Bull Bar. With standard air-bag compliance, carefully engineered angles designed to push impacted animals down and to the sides, and mounting positions for high-powered driving lights, this product provides the safety trifecta for the driver and occupants on any trip. Installed on the bar are two ARB Intensity LED lights with impact resistant lens covers. 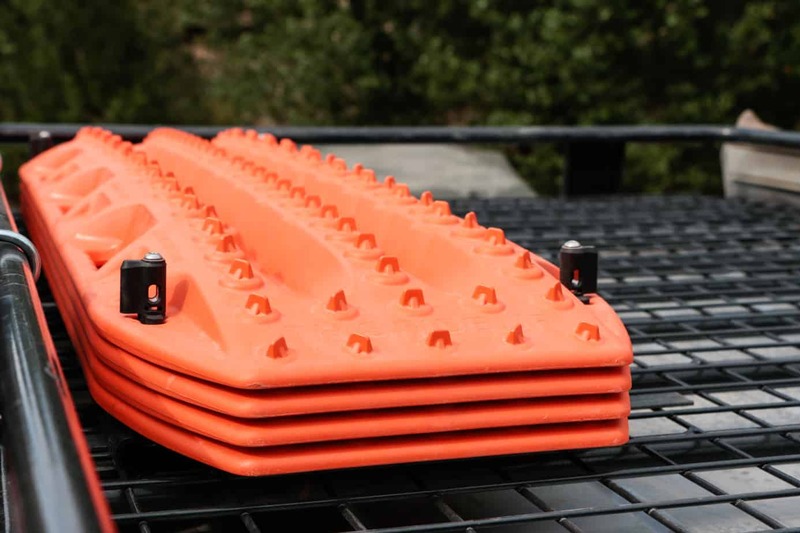 These add a tremendous amount of safety through prevention, helping you to avoid animals and other obstacles long before they become a problem. This same style of light has saved our team’s BJ74 on multiple occasions from elk and deer impacts, earning it a permanent place on our beloved little cruiser. 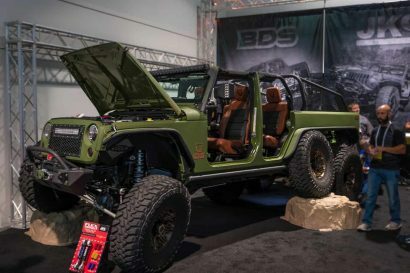 Finally, a 12,000 lb warn winch has been carefully tucked inside this bumper, making even the toughest self recovery situations possible to overcome. 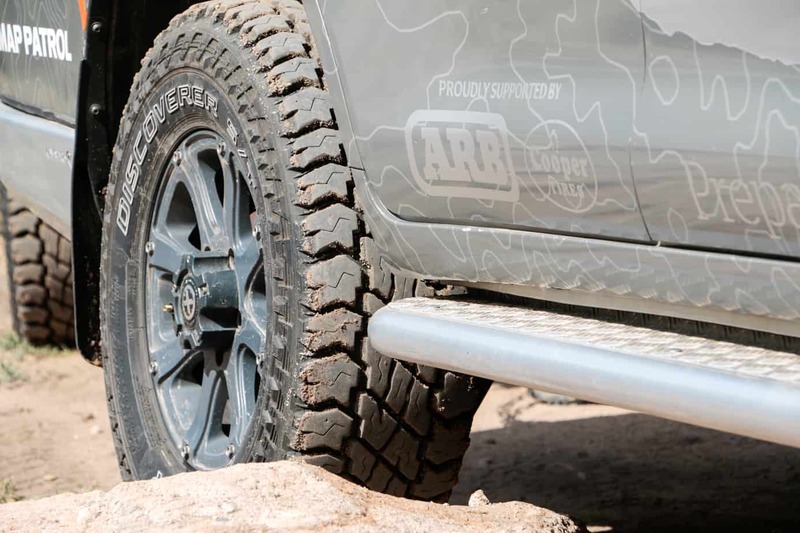 Tied into the front bull bar are a set of ARB side rails and protection steps. These useful options protect the vehicle from side impacts and rocker panel damage in technical terrain, wile simultaneously making it easier to get into and out of the vehicle. 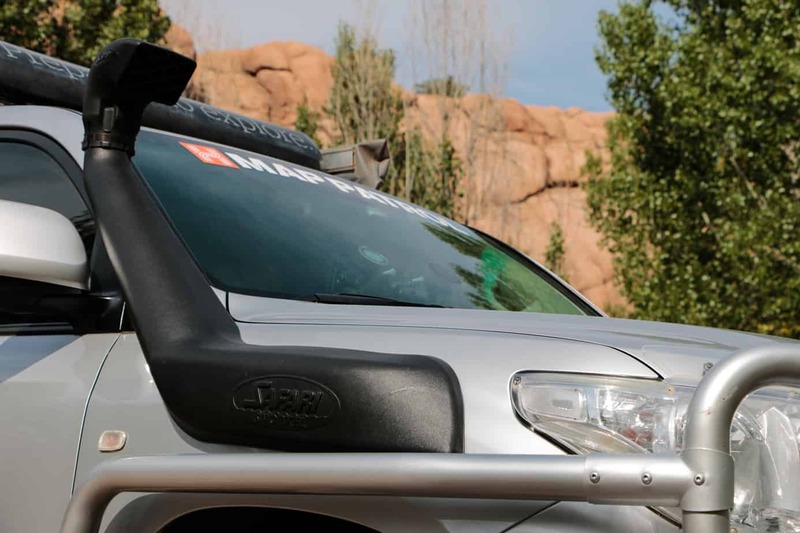 The side rails especially come in handy on narrow trails with heavy mud, where sliding is common and there is little clearance between the truck and obstacles. 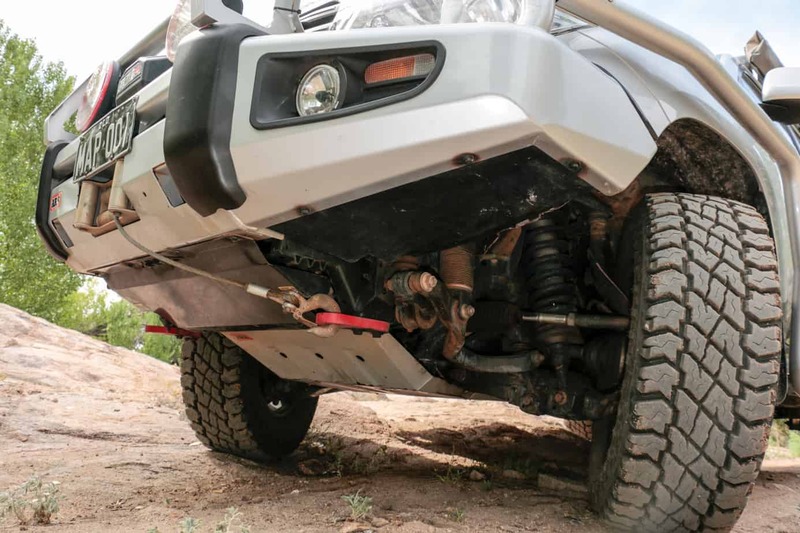 Since a simple leak can strand a vehicle’s occupants indefinitely in the bush, skid plates were attached to add protection for the sensitive components and vulnerable fluid reservoirs like the oil pan or auxiliary fuel tank on the underside of the truck. Another big upgrade for this vehicle was suspension. Hema opted for a set of Old Man Emu BP-51 adjustable reservoir shocks with new springs in the front and airbags in the rear. The first important benefit of this setup is that it allows the driver to adjust the entire system to its optimal settings in any conditions. 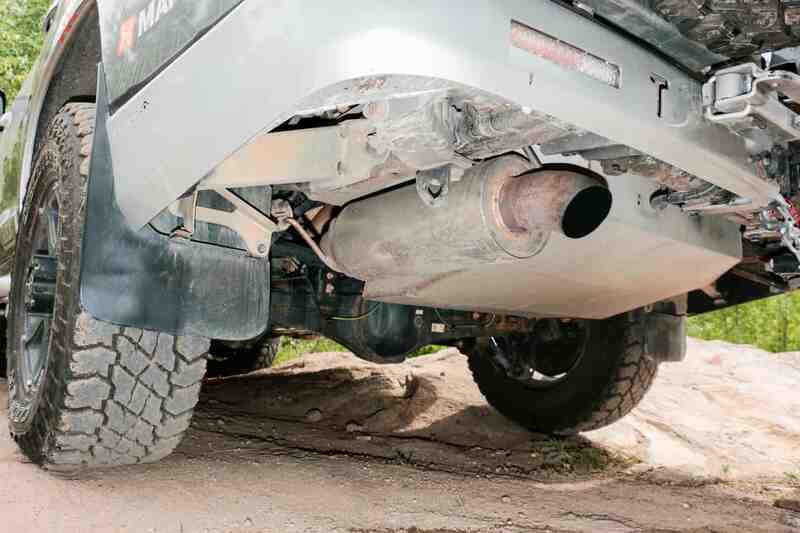 This means that no matter what load the vehicle is under or what terrain you are driving on, the driver will have less fatigue and the entire vehicle will endure less wear than on a standard suspension. 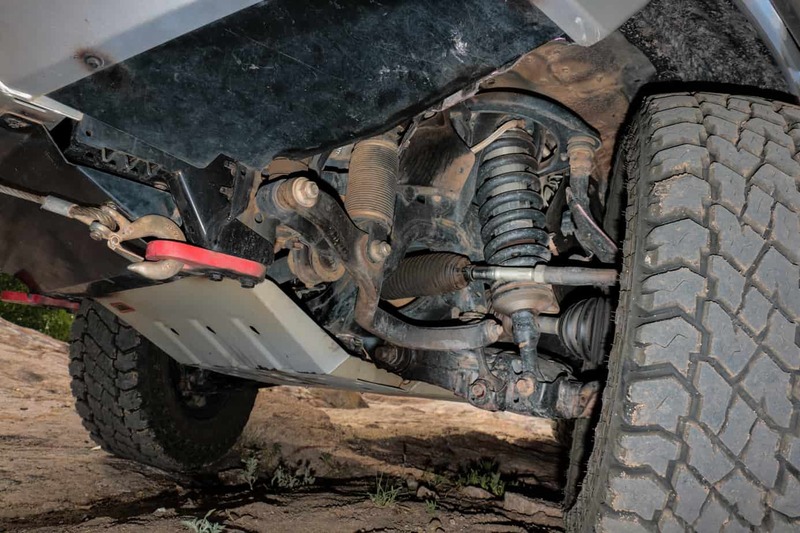 This system also improves clearance to allow the vehicle to traverse harder and more technical tracks, ford deeper crossings, and accommodate taller tires. Wrapped around the 17 ” wheels are some old friends of ours, the Cooper Discoverer S/T Maxxs. We spent the last year and a half roaming the back roads of the United States on a pair of these tires, and from the California coast to the Great Smoky Mountains of Tennessee and North Carolina they never let us down. This 200 series is running a set of five 285/70/17s, along with two more on the matching Adventure Trailers Chaser. At the rear of the vehicle Hema installed a Kaymar bar with dual swingouts and integrated turn signals. 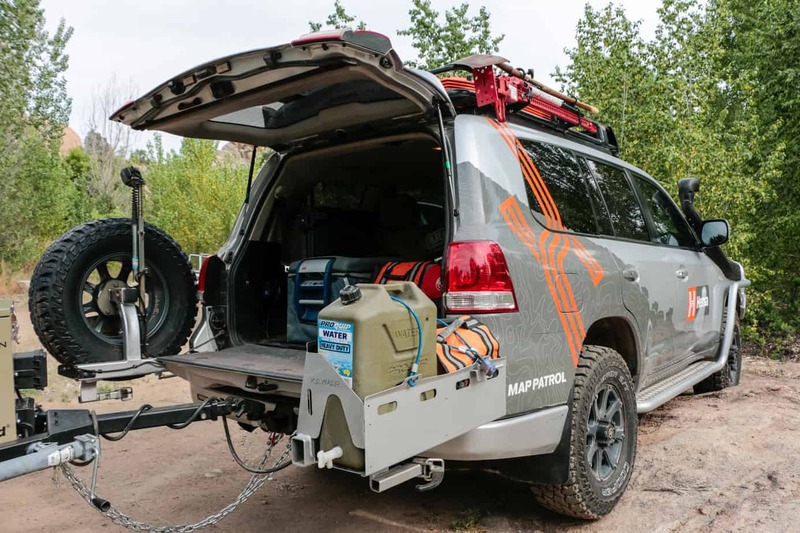 Although it usually carries two spare tires, we opted for a water and fuel can since the trailer already provides us with two additional matching spares in an emergency. 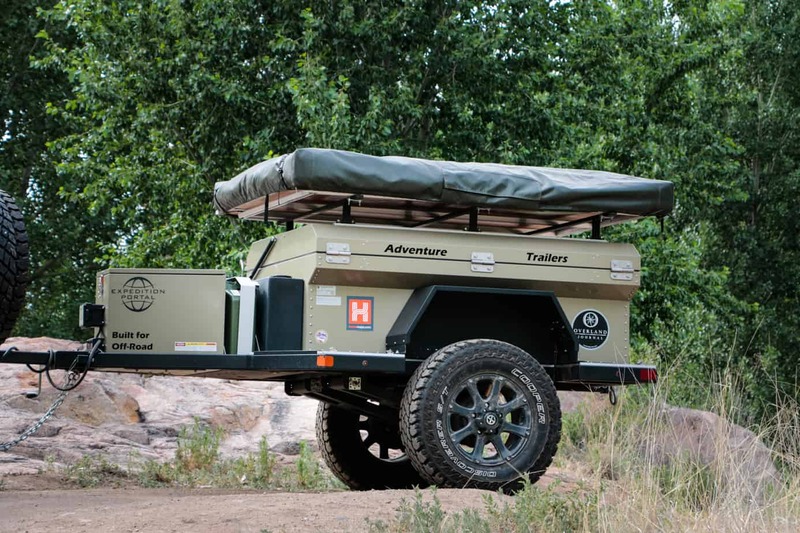 (Water and recovery gear pictured) The bumper also contains a plug for trailer brakes, lighting, and backup camera, as well as area lighting behind the spare for camp illumination. 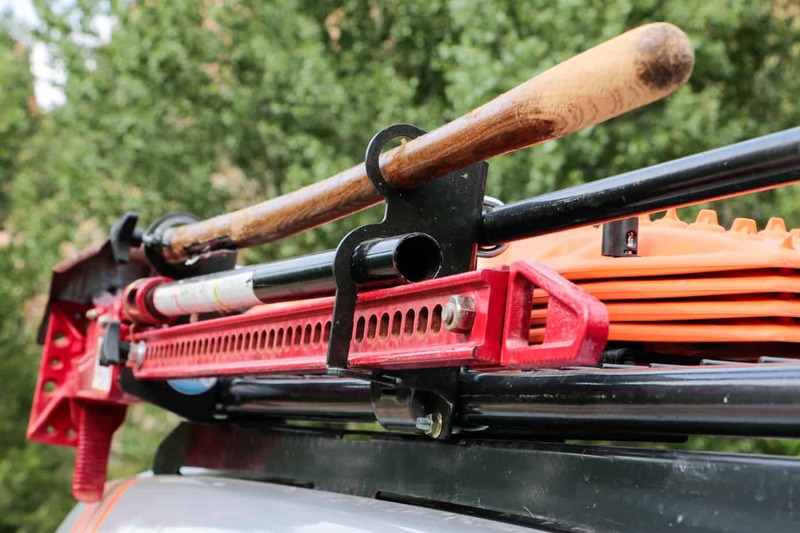 Atop this venerable cruiser is an ARB roof rack fit with all sorts of goodies. A hi-lift jack and shovel are mounted to the drivers side for quick access in recovery situations, as well as four brand new Maxtrax sourced especially for this truck’s upcoming journey from the Arctic Circle to Cabo San Lucas. While the hi-lift will be accessed less often, the shovel and Maxtrax are always our teams first response to a stuck vehicle. While winches are still an important accessory, they present a host of dangers to the vehicle and its occupants. We find that a little digging and a great traction aid like these will get you out of 90% of stuck situations with less risk to you and the vehicle. 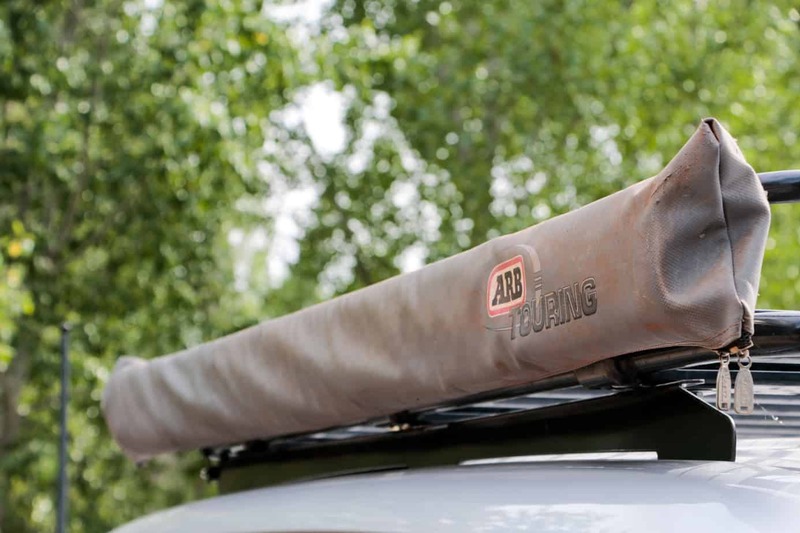 Adorning the other side of the rack is an ARB awning, one of our favorite complements to an expedition truck. Whether using it for shade on a hot day, shelter from rain in a storm, or even as a secondary sleeping quarters with the attachable room, its nice to have an escape from the surrounding elements on long journeys. 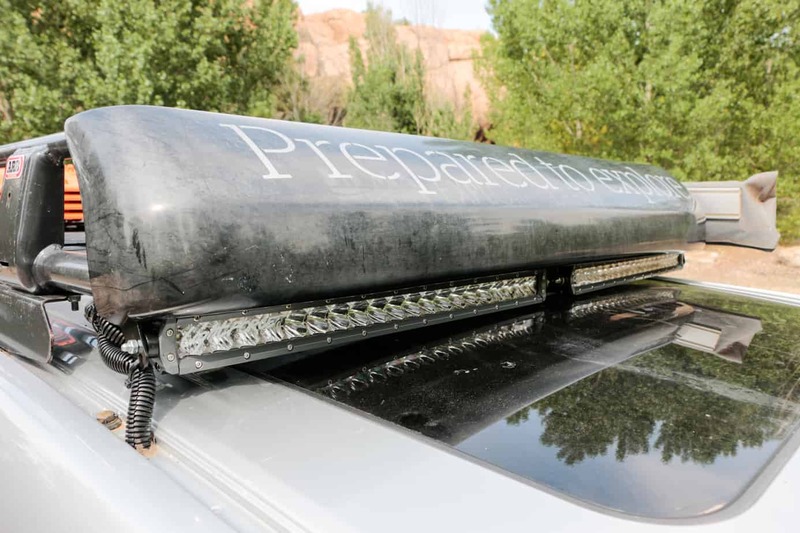 The front of the rack features additional illumination in the form of two brand new Light Force LED light bars. With a combination beam pattern and a slim line design, these new additions tuck neatly underneath the rack while providing the crew with tons of visibility on even the darkest nights. 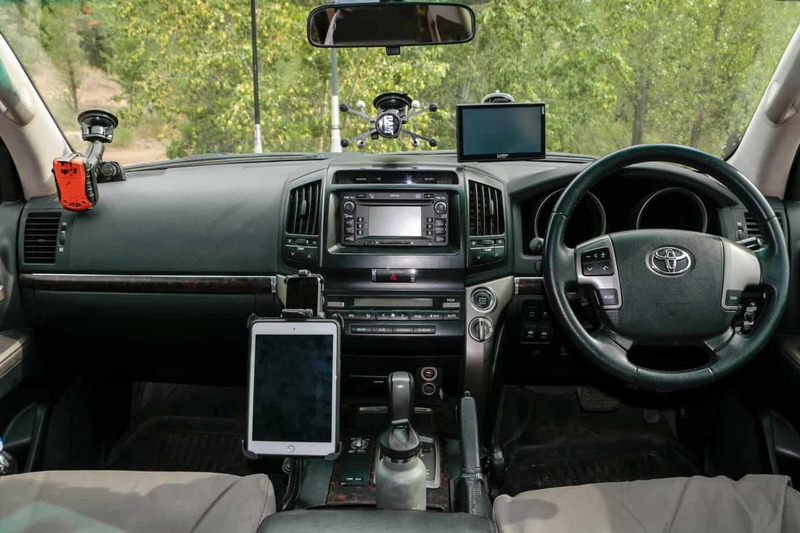 Hema chose to skip the drawer systems and fancy interiors, and instead chose to focus on turning the cabin into a mobile command center. 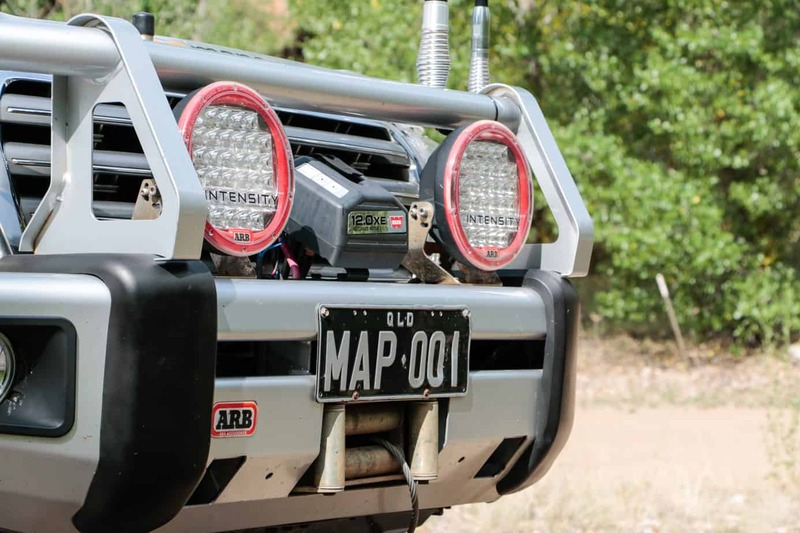 Starting with power, they installed a pure sine wave inverter and enough 12v outlets to charge numerous mapping and radio devices on the road. 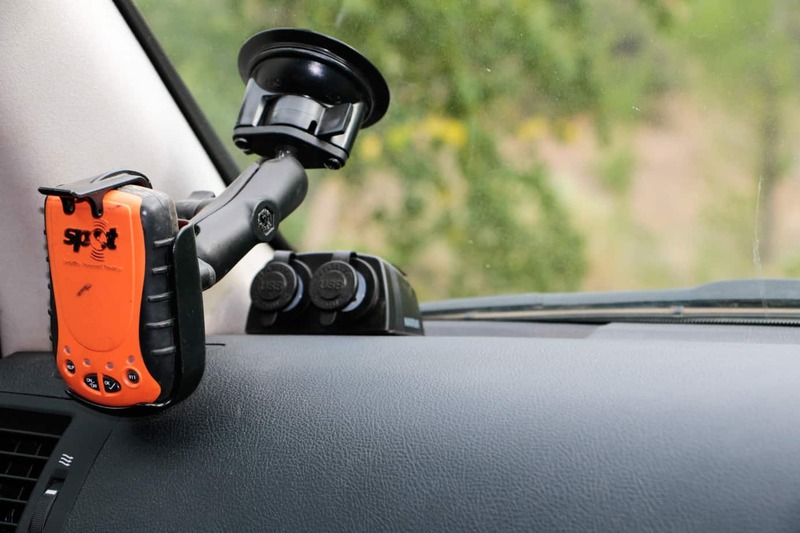 An Iphone is tied into a cell service booster providing signal almost anywhere, and a UHF radio connects to the massive anttenae mounted on the ARB bar. 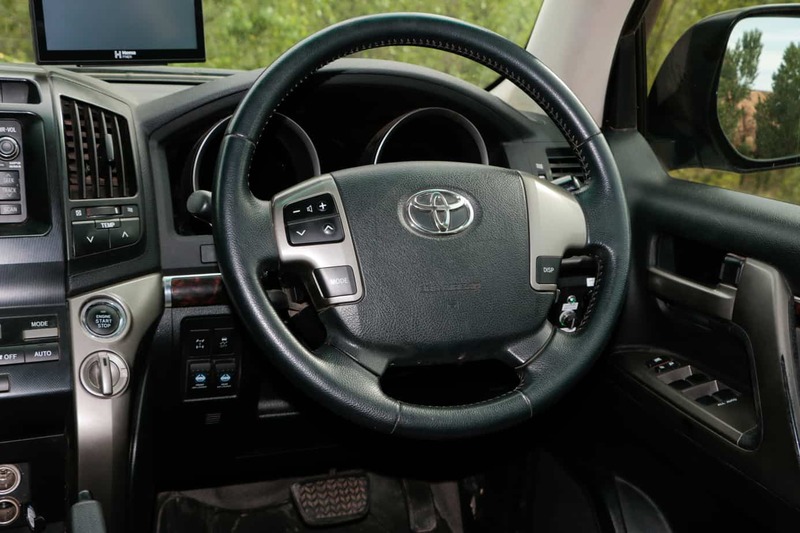 On the right hand side of the steering wheel drivers are greeted by everything from auxiliary lighting controls and trailer brakes, to the ARB compressor and Red Arc battery link switches. 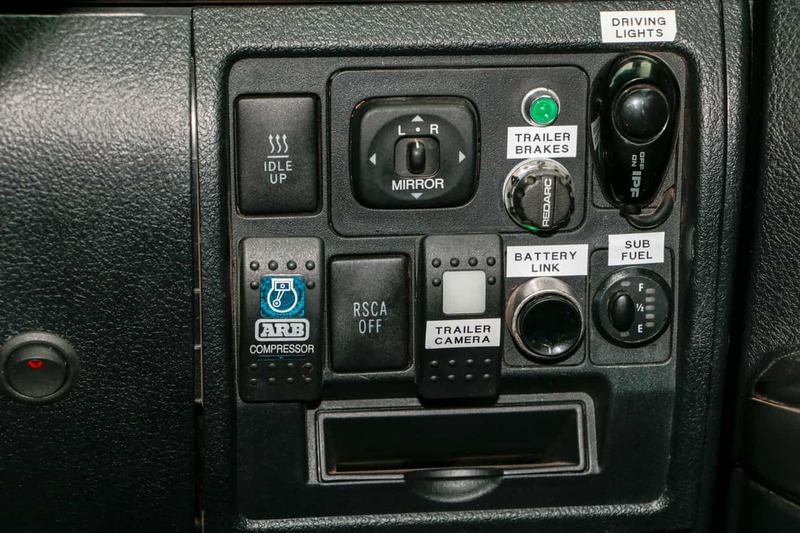 On the left lies the controls for both the front and rear ARB air lockers, three separate 12v charging ports, and a SPOT tracking device for daily check ins and emergencies. The rear of the truck has been kept simple with two 12v outlets and an ARB fridge. Since the fridge is usually accessed at camp, a small battery monitoring system was tied in next to it to make keeping track of power an easy task. 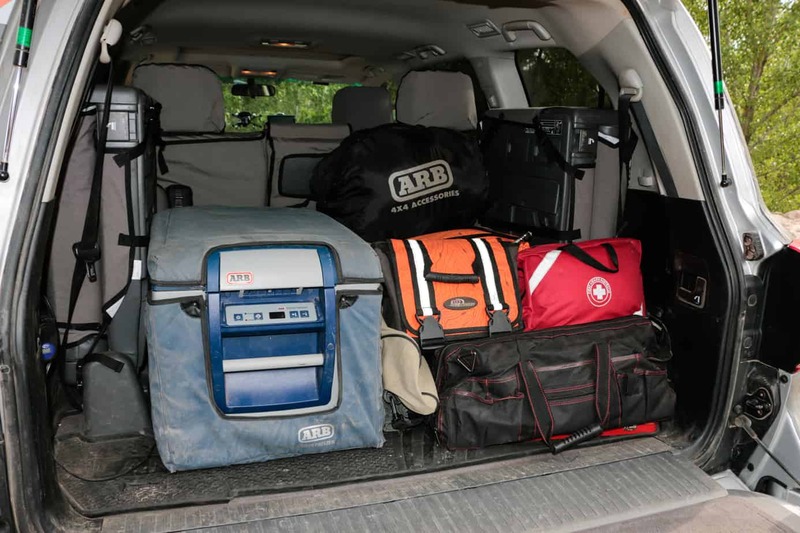 Storage space is left open on the right hand side for recovery gear, medical equipment, and of course personal bags. 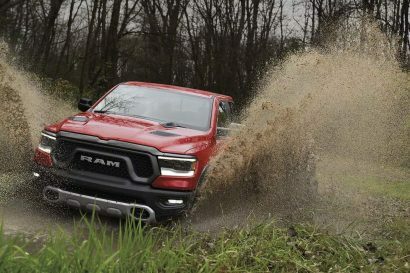 I could probably spend the rest of the day talking about this amazing truck, but instead I will post this great video overview by Scott Brady. With more information on this truck’s background, its future trips in North America, and of course a few action shots it is not to be missed.